Have the rules changed regarding telephoning potential donors by charities? Yes. That's because, in an age of constant robocalls from scammers, the public has become increasingly skeptical of all phone calls. Many don't answer their phones, assuming that if an unrecognized number comes up on their smartphone screens or answering machines, it might be a robocall. If the caller leaves a message, then the person called likely listens to it. Unfortunately, even robocalls now leave messages. The good news for sincere donors who are interested in donating to their favorite organization or buying those symphony tickets is that a real charity caller won't sound much like a robot. He or she will be friendly and warm. That doesn't mean that you should pull out your credit card, however. It's best only to do that when you already know the organization calling and have prior experience with it. In case you still do answer your phone calls, here is some background on telemarketing and some rules of the road to keep you out of charity scam danger. Telemarketing is ubiquitous. Businesses use it to sell their products or services. Charities use it to reach their existing or potential donors. It’s just using the phone to reach consumers. Unfortunately, telemarketing has been haunted by scammers of all kinds. And charities have often been caught up in those scams. Today, all telemarketers, charity as well as commercial, use mass calling technology to reach their targets. NBC News recently wrote about the state of telemarketing, including that of charities and other nonprofits. Even as the public has become skeptical of callers, telemarketing still works just because with technology so many calls can be made. NBC reported that one caller working for legitimate nonprofits was turned down or hung on 96 percent of the time, but the four percent of successful calls made it worthwhile for her pay and for the organizations she worked for. So, don't count on telemarketers giving up any time soon. Is Telemarketing by Charities So Bad? Telemarketing alone is not a bad thing for charities. Especially when a charity makes the calls using staff or volunteers. Problems arise when charities hire outside companies to do the telemarketing for them. Many large charities, because they need thousands of donors, use telemarketing firms. You’ve likely been called by one of these companies working for your alma mater or one of the well-known national charities. Often this is just fine. The companies earn a reasonable percentage of what is brought in and the nonprofit benefits from economy of scale. Even rather large portions received by telemarketing companies are defended by some experts since the cost of telemarketing is upfront and decreases over time. For instance, perhaps much of the first $25 you give to a charity using a telemarketing company is paid to the company. But, since you are now a donor and may keep giving for several years, the cost per dollar given for the charity goes down. But some charities hire companies that use questionable techniques to convince people to donate, and then the companies keep most of the money with a fraction of it going back to the charity. Such practices lead to inefficiency. It costs too much per dollar raised by the charity. That’s one reason donors need to check into a charity’s efficiency statistics. However, just looking at those statistics may not tell you a lot. Many donors are shocked when they learn that as much as forty percent of a charity's income goes to overhead. But they forget that overhead (or indirect costs) covers a lot of ground. It's not just about fundraising costs. There are also costs associated with just keeping the doors open, keeping equipment up-to-date, the upkeep of vehicles that help provide the charity's services. Often we hold charities to an impossible standard, expecting them to solve societal needs on a bare bones budget. Efficiency scores alone don't tell the entire story. Donors should become familiar with the overhead myth before they judge whether a charity spends too much on running its operation. A better measure of a charity is how effective it is. But that's not always easy to measure and is probably why donors resort to simple and misleading efficiency scores. Fortunately, charity raters such as CharityNavigator the Better Business Bureau have now developed more realistic models to use when assessing how well a charity is doing. 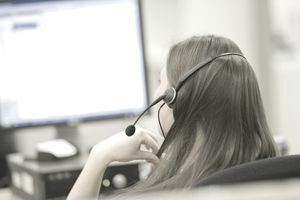 In recent years, many questionable telemarketing situations have been exposed by the press, bringing it to everyone’s attention and giving some charities painful black eyes. A few well-known and respected charities have been in the headlines as well as smaller nonprofits unknown to most people. They have been linked with telemarketing companies that are notorious for the massive amounts of money they earn from charitable telemarketing. While it's essential to become aware of bad actors in charity fundraising, it's also wise to not paint all charities with the same black brush. Most charities can be trusted to spend your donor dollars the way they say they will. All donors should become familiar with the charities they support and over an extended period. Ever wonder why you got a call ( or a direct mail fundraising letter) from a charity you've never shown any interest in? How did they get your information? Many of the nation’s largest charities either sell or share the names of their donors. Donor lists for many of the country's best-known charities are available for sale from online data brokers. According to Charity Navigator, several of the 25 largest charities listed by Forbes lack adequate donor privacy policies. They either lack a policy, state that they share information or share information unless a donor explicitly opts out. What Are Your Rights When Charities Use Telemarketing? There is the National Do Not Call Registry, which most of us should use to cut down on unwanted phone calls. But, the Registry does not cover calls made by charities. However, if a charity uses a telemarketing company, that company must maintain a “no call” list. You can request that your name be placed on that list. It will only cover that particular charity, however. What Should You Do to Avoid Getting Scammed by Telemarketers? Hang up! If you hate telemarketing calls, the best thing to do is hang up immediately. Or hang up should the call go badly. I recently hung up on a political fundraising call because the caller deluged me with her pitch without even asking if this was a convenient time to call me. Ask the caller if he works for a telemarketing company or if he is a volunteer or staff member of the charity. You will likely feel more inclined to give to a volunteer than a professional telemarketer. If the call is from a company, ask the caller how much of your donation will go to the charity. The law requires that companies tell you. And they do know. If the caller says she does not have that information, then terminate the call. Say that you do not give over the phone. This is what I always do. Because I don’t give over the phone, it's just too dangerous to be sharing credit card numbers over the phone. Do your research. Use charity rating organizations to check out charities. Go to CharityNavigator or the Better Business Bureau site and look up the charity you're considering. If its score is high, consider donating. Don’t expect to find all charities on these lists. But large ones usually are. For smaller charities, it's wise to stick to your local area. It's easier to understand those organizations and to keep tabs on them. Give directly. Send a check to your favorite charity or drop it by the charity's office. Go to the charity's website and donate using its payment system. Purchase its tickets, attend its special events, and, especially if you are giving a significant amount, ask to visit with the fundraising officer personally. Do not give into badgering by the caller. Never give in to pressure. If you feel uncomfortable, end the call. Avoid sharing your credit card information, banking or any other kind of personal information over the phone. It’s just not safe. If you do want to donate, tell the caller to send you a letter in the mail (scammers won’t do this) or that you will visit the charity website to make your donation. Check out any charity's privacy policies before donating. If you do not want your information shared with other groups, don't donate to any charity that does not promise privacy. Just doing this could cut way down on phone calls and direct mail that you do not want. Privacy policies should be right on any charity's website, and Charity Navigator rates each charity in its database for privacy. Educate yourself about charitable giving. Read articles on philanthropy and charities in your favorite publications, browse the materials at the rating sites, engage in conversations with friends about charitable giving, and share information. You would not buy a car, pick a gym, or choose a daycare without doing your research. Charitable giving deserves the same amount of care and attention. Telemarketing calls from charities are not inherently evil. And some charities just phone to check in, or even to thank you for a recent donation. Once you know that the call is for fundraising, do make sure you are talking with a legitimate company or with a volunteer or staff member of the charity. Stay generous, but don’t fall for a scam.